﻿ The Quilted Work - Ohio. Find It Here. 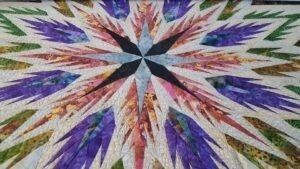 Bringing your Quilts to Life. since March 2008! The Quilted Work is owned by Marla Knoch Work, and offers the latest quilting supplies, fabrics, and the Accucut Go! Cutter. Hand Guided & Statler Generated Quilting Service. Classes and retreat house available. Gammil OPT. 14 Statler, quilting services 15000 patterns Quilting Classes, Accucut 125 dies Quilt designing help. Fabric 1800 bolts +150 wide backs.